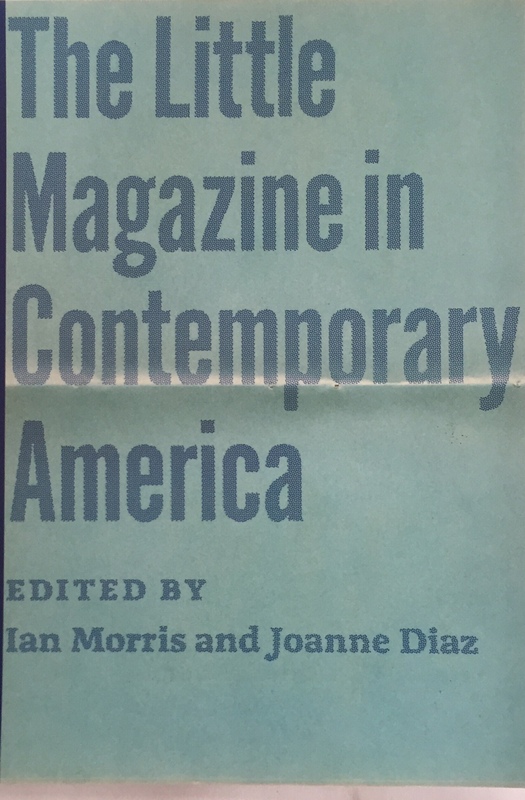 Little magazines have often showcased the best new writing in America. Historically, these idiosyncratic, small-circulation outlets have served the dual functions of representing the avant-garde of literary expression while also helping many emerging writers become established authors. Although changing technology and the increasingly harsh financial realities of publishing over the past three decades would seem to have pushed little magazines to the brink of extinction, their story is far more complicated. In this collection, Ian Morris and Joanne Diaz gather the reflections of twenty-three prominent editors whose little magazines have flourished over the past thirty-five years, including such figures as Betsy Sussler of BOMB, Don Share of Poetry, and Dave Eggers of McSweeney’s. Highlighting the creativity and innovation driving this diverse and still vital medium, contributors offer insights into how their publications sometimes succeeded, sometimes reluctantly folded, but mostly how the evolved and persevered. Other topics discussed include the role of little magazines in promoting the work and concerns of minority and women writers, the place of universities in supporting and shaping little magazines, and the online and offline future of these publications.